FlyBoarding is very easy and only takes about 5 mins to get up and flying. 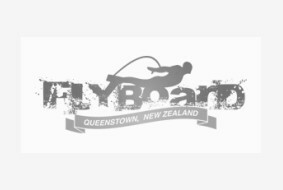 Our experience Flyboard instructors will give you training before your flying experience and also give you tips along the way. We guarantee that you will get flying like Ironman if you don't we keep going till you do. We provide everything for you wetsuit, life vest, helmet. Swimwear, towel and dry clothes for after session. Please bring swimwear, a towel, and dry clothing to get changed back into. SOLO JETPACK - Minimum age 16 years. No weight restrictions.